I think it is very accurate to say that the right gear is extremely important for parents and if you are a new parent, you have a lot to learn….I learned by my mistakes I must say and by trying different products for different activities. Since I was new to the USA when I had my daughter, many of the brands here were new to me. One brand that I was referred to was Britax and I am really happy I was introduced to the brand and their high quality products. I have tried a few different Britax products and I have not once been disappointed with their products, so I am always very happy when I get the chance to try a new Britax product. On this opportunity I want to introduce you to the Britax B-NIMBLE Umbrella Stroller….Before I even start talking about the B-NIMBLE, I must say that once my daughter was big enough to get an umbrella stroller or as my little lady used to call them, (a big kid stroller), I went and bough a simple stroller that I found at the mall one day I was shopping and needed a stroller…Well not the smartest investment I ever made as the stroller lasted about 2 weeks and was very flimsy and uncomfortable for both me and my daughter! The B-NIMBLE is a very lightweight stroller that is just great for parents on the go and busy parents that need a small stroller for quick errands and everyday life around town. The B-NIMBLE features a Simple Fold that allows the B-NIMBLE to fold with very little effort thanks to an automatically engaging chassis lock that locks the stroller in the folded position without scuffing your shoes or feet. All you need to do is pull the carrying strap to release the first lock, (there are two locks). To release the second lock, all you need to do is to press down the little piece on the lower bar and the frame down and forward to completely fold the stroller( fear not, the instruction will be attached to your stroller). Among the features I really like about the stroller is the large canopy with sun visor and peek-a-boo window that keeps your little one protected from the elements and allows you to check on them through the peek –a-boo window which is especially useful when they are sleeping. (One thing I would change on the peek-a-boo window though is it closes with Velcro). The seat on the stroller is very roomy (about 14”), so kids can sit comfortably. The stroller also has a 5-point (unpadded), adjustable harness that adjusts to fit snugly on a small child but at the same time with enough room to be adjusted as your little one grows….the seat belt needs a little bit of pressure to be opened which I must say I like as it can help you to keep your more active kids inside the stroller at all times. The seat can be set in numerous recline positions with a strap system. 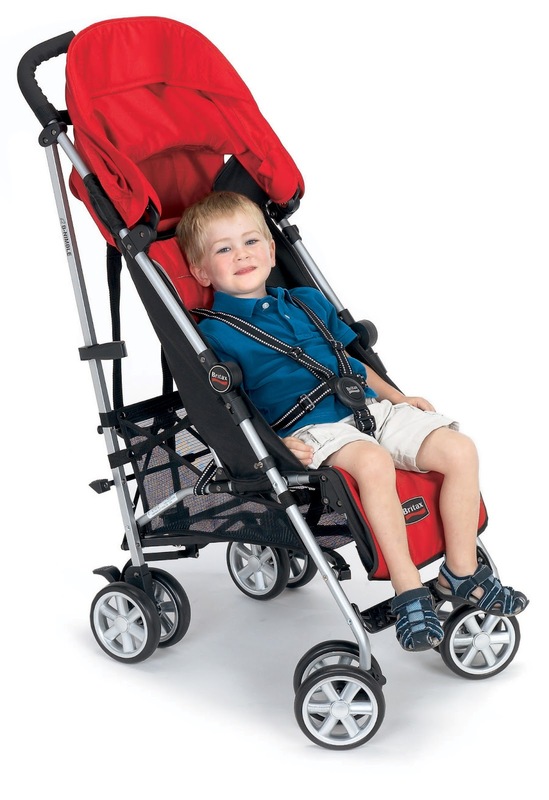 One of my favorite features is probably the adjustable leg rest with two different positions that allows your kids to have a comfortable ride no matter if they prefer the seat to be up or down. Another feature I really like on this stroller is the tall ergonomic handles so people of different heights can comfortable use this stroller. The B-NIMBLE has a small basket that is great for your purse, a small size diaper bag and other small items…A big size diaper bag will most likely not fit on the basket. The stroller is very easy to set up and actually, most of the work is done when you get the B-NIMBLE out of the box. This light weight umbrella stroller has a lot more features than a regular umbrella stroller including a removable and washable seat and a small and very handy small pouch with Velcro closure. I think it is perfect for small items like your cell phone, keys and even a wallet. Inside the pouch you will find a rain cover. As I said, the stroller is nicely equipped and that includes a cup holder which is usually a luxury item on an umbrella stroller.The shoulder carry strap is also a nice addition! The B-NIMBLE is Travel System compatible with other major infant car seat brands when used with included infant car seat adapter strap, such as Chicco Key Fit, Chicco Key Fit 30, Graco Snugride 32, Graco Snugride 35, and Peg Perego Primo Viaggio. 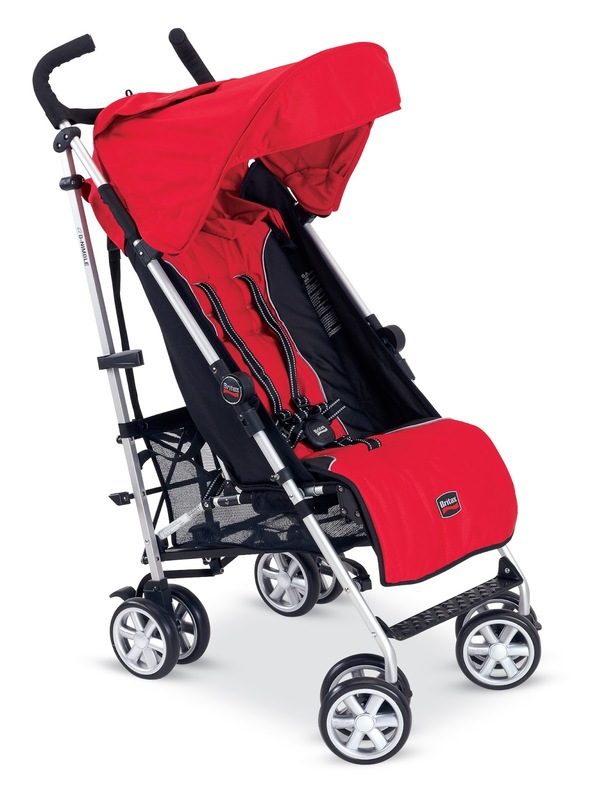 As usual with Britax products, the stroller is made with high quality materials. The B-NIMBLE has a retail price of 199.99 and it is available in different colors to meet your needs. Win it: Britax has kindly offered one lucky Born 2 Impress reader, the chance to win a free B-NIMBLE stroller in color of choice! I’d love to try the Frontier Carseat! I would like the Frontier 85 booster seat in Canyon. I’d love to try their roundabout car seat! I like the Advocate car seat. I do like the lightness of the B Nimble stroller, but also have been looking at the B Agile stroller. For my daughter sometimes going to the dog park or even maybe starting to take her lil’ guy for a run, I think that might be a great stroller too. But I do love the seemingly great comfort and extra room in this one. Britax has really made their mark I guess, everyone always has ONLY good things to say about their product! I like the roundabout car seat. i love their carseats – the marathon. I like the Marathon Car Seat! a vehicle seat protector…i just got a new van! I like the B-Ready Stroller. Thanks. I’m in love with the B- Ready stroller. That thing is AMAZING! I love the Marathon 70. Love the B-Safe car seat! I would like to get one of the FRONTIER 85 SICT Car Seats, so that I can take my nephew anywhere in my car, safely. I’d love to try the chaperone! we have the chaperone and the n-ready and love all things britax! we will graduate up to the advocate, most likely, but I would love to have a more compact stroller! I would like the Parkway SG car seat. I’d like to try one of their car seats with the click tight system! The B-Agile Double Stroller, looks nice too. Thank you! boulevard-70-g3 would be neat to try. I really love the new b-ready stroller, the new colors are super cute! Would love to try their Britax Baby Carrier. Thanks for the giveaway. I’d love to try the Frontier Car Seat for my toddler! I like the Chaperone carseat! Perfect for my pregnant daughter in law. 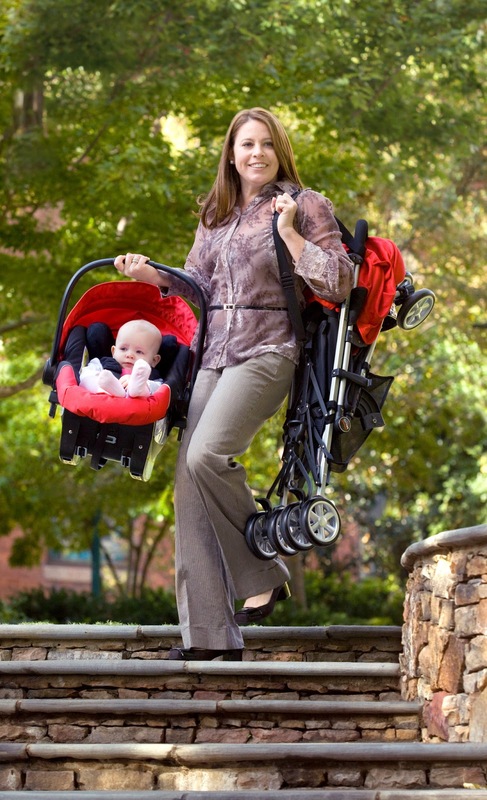 Love the B-agille and B-ready strollers! I would like the Frontier 85 booster seat. I would like the Frontier 90 booster seat. I really like the Britax organic baby carrier! I’d also like the B-Safe Car Seat! I like their Frontier 90 booster seat. I like the Frontier 85 booster seat. I’d love the marathon carseat. I would love the double stroller for my sis in law! I would like to try Bob-B-Safe carseat. I would like to try the child bike seat. I would love the Britax Frontier 85 SICT! I love the Bob B Safe Car Seat. I would love to get the B Safe infant seat! I like the B-SAFE car seat. The bob-b-safe car seat system is nice. I really like their Frontier car seat. I like the look of the Boulevard convertible car seat! I would like to try thier otganic carseat. It looks light weight and I like the color also. Any one of the infant car seats – they all look great! 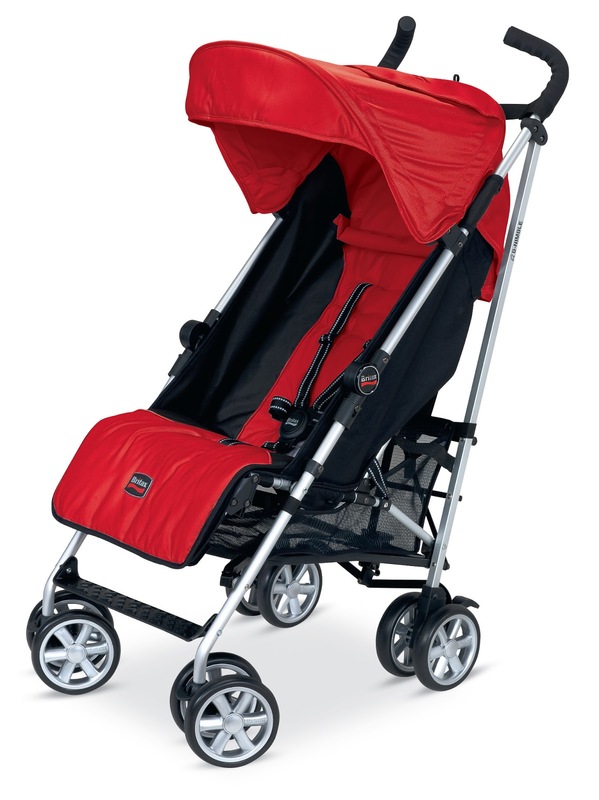 I would really love the Britax B-ready stroller! I like the Bob B Safe Car Seat! Love the Chaperone Car seat. Love the color as well. I like the Frontier 85 carseat. That Frontier 90 car seat would be pretty nice we are having a baby boy in june. 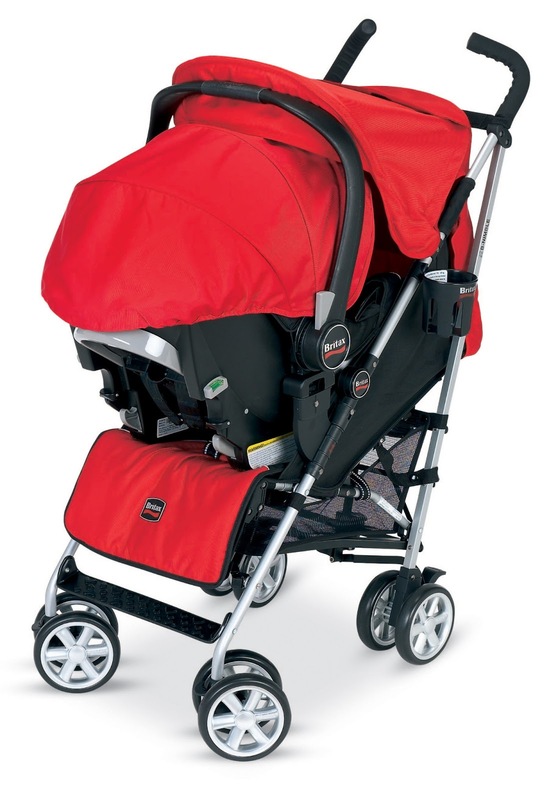 I also like the Britax B-Ready Stroller. I would love to try their car seats. I’d like to have the organic baby carrier! I would like to try the FRONTIER 85 SICT car seat. I like the Bassinet Sun & Bug Cover.